Award: The full GEAR UP TN Scholarship amount is $1,000 for students enrolled at least half time in an eligible institution. Students enrolled less than half time in an eligible institution of higher education qualify for 50% of the full GEAR UP TN Scholarship award. 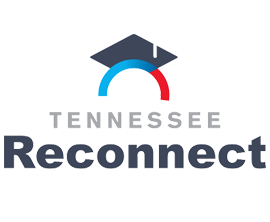 Renewal : The GEAR UP TN Scholarship is renewable for up to six years after the student’ scheduled completion of secondary school. Students must complete an Intent to Enroll Form annually. Funds are awarded on a first come first served basis as funds are available. Students who withdrawal from classes will be subject to the refund policy of the institution. Student must be less than 22 years of age at the time of first scholarship award. Student must receive a secondary school diploma or its recognized equivalent on or after January 1, 1993. Student must enroll in a program of undergraduate instruction at a Federal Pell Grant Program eligible institution of higher education. Student must have participated in a GEAR UP TN activity as a member of the class scheduled to graduate in the 2010-2011 academic year while at a public high school or middle school participating in GEAR UP TN in Cocke or Union county. 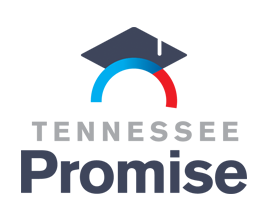 This discretionary federal grant program is designed to increase the number of low-income students who are prepared to enter and succeed in postsecondary education. GEAR UP serves an entire cohort of students beginning no later than the seventh grade and follows the cohort through high school. Students for the program were selected during their 7th grade and tracked through high school and post-secondary education. Currently Cocke and Union counties are the only counties in our service area that are participating in this federal program. The Robert C. Byrd Honors Scholarship Program provides aid for Tennessee residents who meet citizenship requirements and who will be graduating from high school, or received a GED no more than one year prior to the award year. Recipients are identified from among qualified applicants utilizing a scientifically based stratified random selection procedure. The Ned McWherter Scholars Program is intended to encourage academically superior Tennessee high school graduates to attend college in Tennessee. One-Half of the award is from the State and must be matched on a 1:1 basis by the college or university attended.